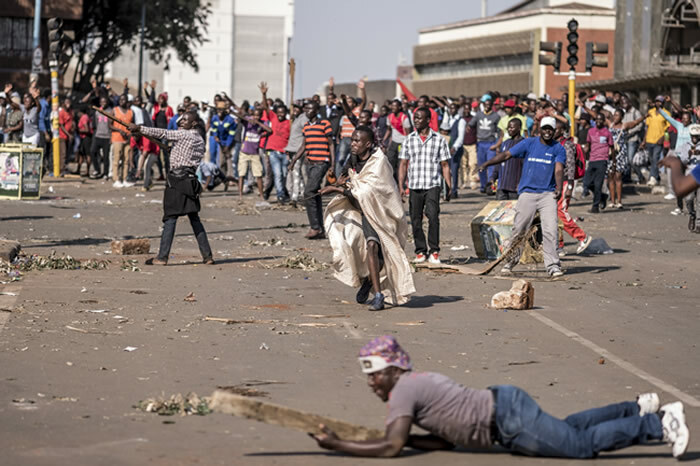 Zimbabwe’s presidential election, the first since Robert Mugabe was ousted last year, turned bloody on Wednesday when troops opened fire on protesters in central Harare. 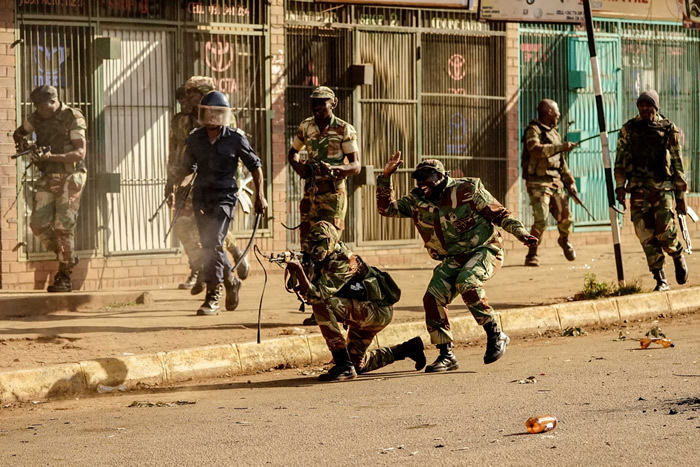 Zimbabwean anti-riot policemen close the entrance to the Rainbow Towers where the election’s results were being announced. 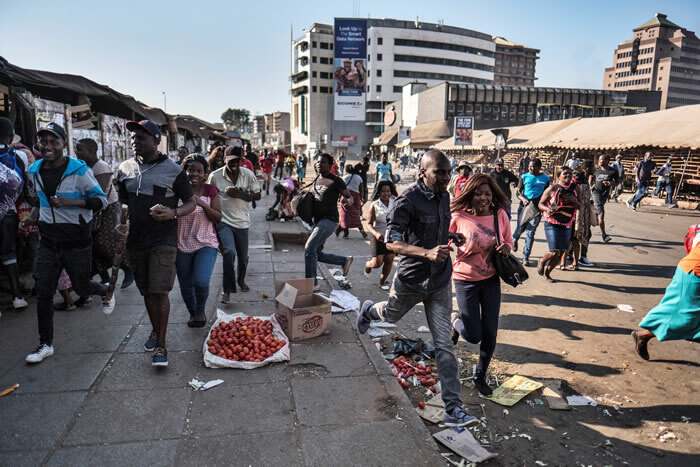 Bystanders scramble for cover as Zimbabwean soldiers fire live rounds in Harare. 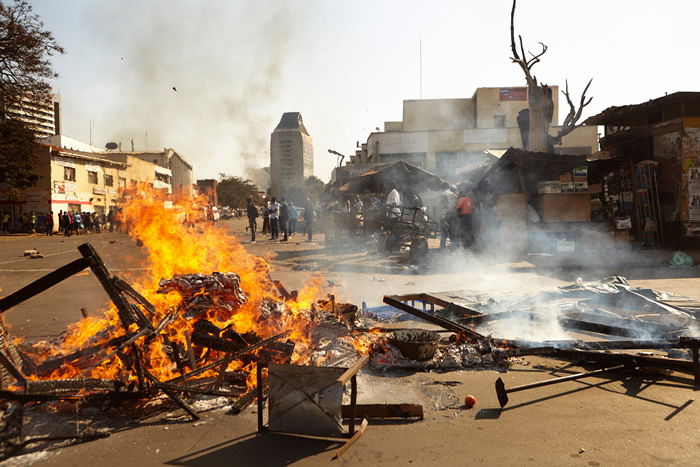 The wreckage of a market stall burns on the streets of Harare. 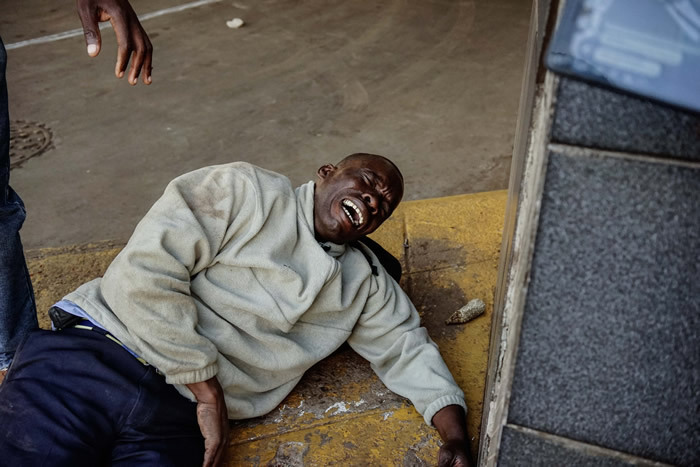 An injured man reacts as soldiers disperse demonstrators in Harare. 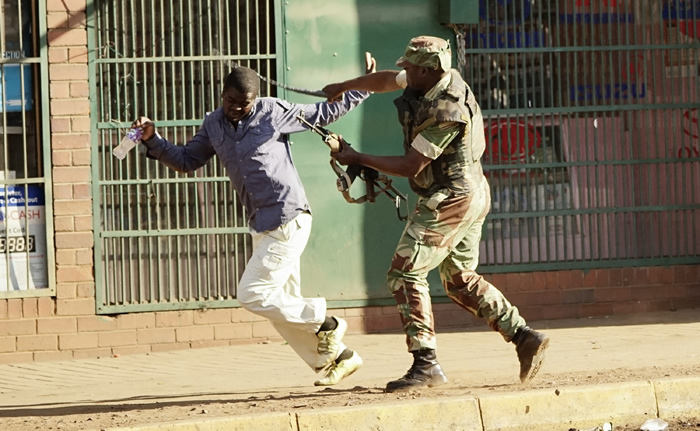 A soldier fires shots towards demonstrators during the protest. 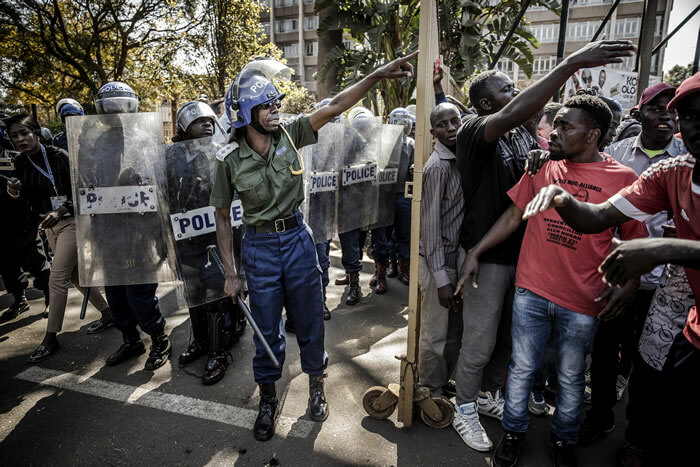 Supporters of Zimbabwe’s MDC party demonstrate outside ZANU PF headquarters in Harare .